If horses have taught me anything, it’s that you can’t learn how to ride standing on the ground. One of my goals for Eventing Nation is for us to aggressively use video to connect with our readers. Today I took the first baby step towards that goal by filming a short walk I took through the Horse Park on Thursday night during the WEG dressage test event musical freestyle, which, incidentally, Tina Konyot ended up winning. Please leave your suggestions in the comment section, but, off the top of my head, it needs a soundtrack, the camera shakes like I’m on crystal meth, I need to pronounce “Kentucky Horse Park” using more than one syllable, and it has a considerably less developed “plot” than Hot Tub Time Machine. Now and always, Go Eventing. Ecovet fly spray is not a pyrethrin/pyrethroid derivative (which can be toxic), and it is also not an essential oil product. 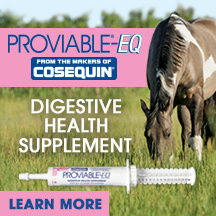 Instead, Ecovet’s formulation is 5% each of three food-grade fatty acids, 84% silicone oil and 1% fragrance. 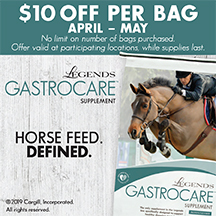 Shop now at eco-vet.com. 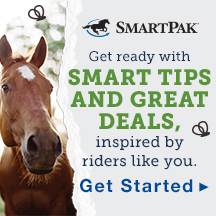 Eventing Nation readers have been waking up to “News & Notes” posts 365 mornings a year since Tuesday, Oct. 12, 2009. John penned all the early editions himself, and they include plenty of John “flair.” Today we’re hopping in the EN time machine and revisiting the very first N&N post ever! Actual first N&N photo unknown, but it was probably something like this. Photo: Wikipedia/CC. Welcome to our first “News and Notes” posting. Lets jump right in! 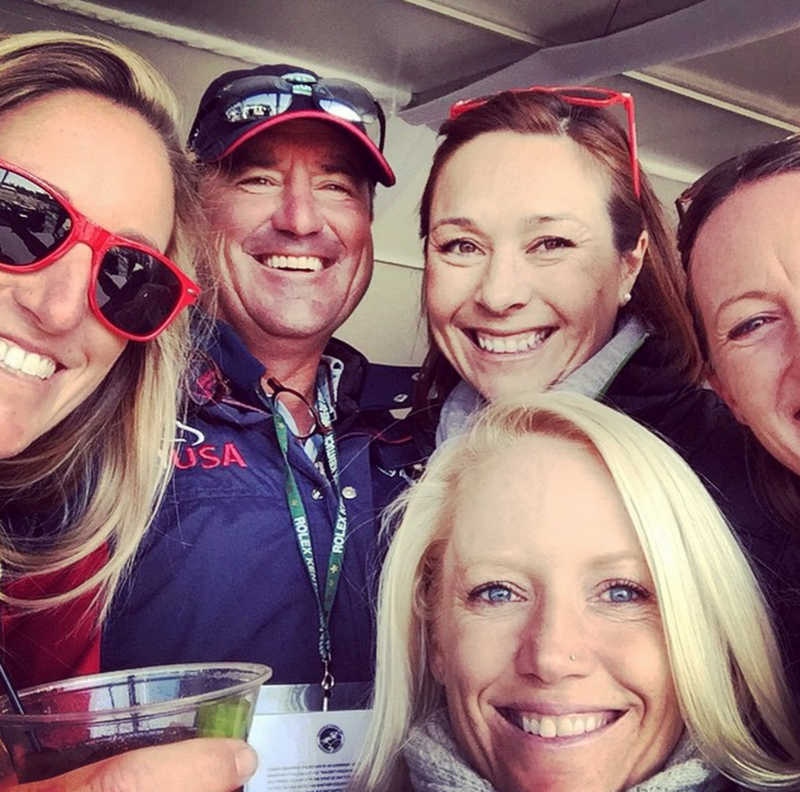 In an email sent out to all Long Listed Riders, Sarah Ike from the USEF explained that US Eventing Chef d’Equipe Mark Phillips will be leaving the position in 2013: “As some of you may know, Mark Phillips’ contract expires in 2013. He is not seeking to extend it.” Mark leaving is pretty old news, but this the first public acknowledgement from the USEF that I have seen. The email also mentioned that there will be an open rider forum at Fair Hill this coming Wednesday. I have several thoughts on Mark leaving and the future coach, but I will save them until after the forum. Stay tuned. 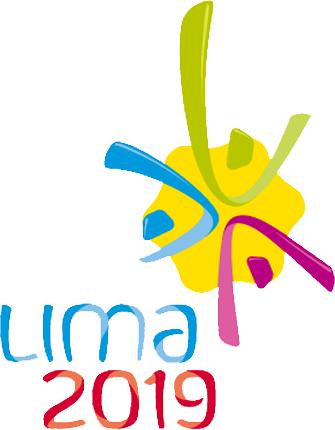 As we all know, the International Olympic Committee selected Rio de Janeiro, Brazil for the 2016 Games, in a controversial decision against Chicago. Rio is certainly less favorable than native soil, but Team USA Eventing’s last trip to Rio ended with a victory in the 2007 Pan American Games. Also, because Rio is in the Southern Hemisphere, the seasons are reversed, leading to some pretty decent average highs and lows during August. Wow, middle school geography, science, and math all wrapped into one sentence. Kinda makes me feel like riverdancing. As a final note, several members of the ’07 Pan Am contingent have talked about how they were struck by the poverty and squalor in Brazil. Hopefully the Olympics will be a good opprtunity to influence Brazil for the better. Thanks for reading our very first News and Notes post!!! As a brief introduction, my name is John. 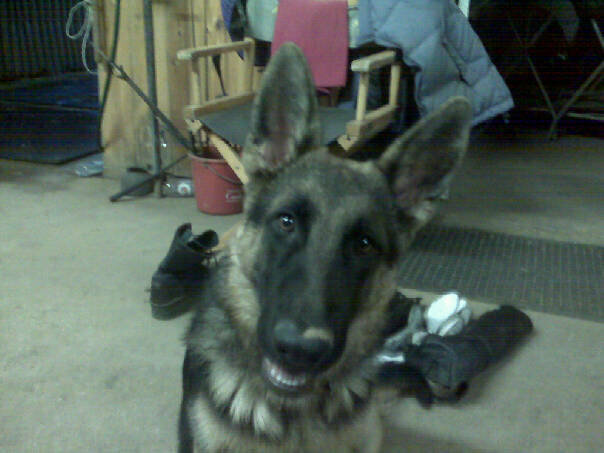 I have four kids, in the form of two wonderful Event horses and two beautiful German Shepherds. My puppy, Elsa, is nearly six months old and has spent many long hours laying by my computer desk, helping me to design and develop Eventing Nation. It’s pretty safe to consider her the brains behind the operation. Now, on this, the 11th of October 2009, we are very proud to launch our creation. Our goal at Eventing Nation is to serve the Eventing community by providing convenient and comprehensive access to our great sport. Eventing Nation is the World’s first Eventing news and content aggregator, meaning that we will bring the best Eventing content from throughout the Internet directly onto our homepage. In the coming months and years, we hope that Eventing Nation will become a forum for Eventing’s great thinkers and ideas. Ultimately, you, the citizenry of Eventing Nation will shape the direction of this site by telling us what you like and what needs changing. Eventing Nation is going to grow rapidly over the next several weeks with respect to features and content, so stay tuned. And, throughout all of this, I promise that we are going to have some fun along the way! Finally, a special thanks to all of the people who have helped to make Eventing Nation possible. From the novice riders I pressed for content suggestions to some of our sport’s greatest veterans who offered words of encouragement and support, thanks. Most importantly, thank you for being one of Eventing Nation’s very first citizens, we would be honored if you return sometime soon. Each Thursday we dig through the cobwebbed EN archives for a favorite throwback post from yesterday. This week’s edition hails from May 10, 2014, featuring the legendary Mary King. Stickability was an absolute necessity around Badminton’s incredibly tough cross country course today. All in a day’s work for Mary King. Incredible balance from Imperial Cavalier as well. Ho hum. Remind you at all of another great save by another great lady rider? Michael Jung has plenty to “write home about” at the conclusion of Rolex 2016. Here are a few letters we’d like to imagine him penning on his long flight back across the pond. Which actually WERE the first words out of his mouth during his winning FEI interview. Photo by Leslie Threlkeld. 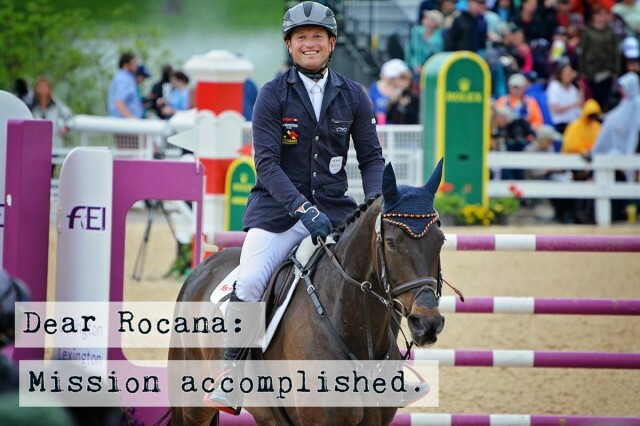 Congratulations to Michael and Rocana, and here’s wishing him and Sam all the luck at Badminton! Winner winner! Photo by Leslie Threlkeld. 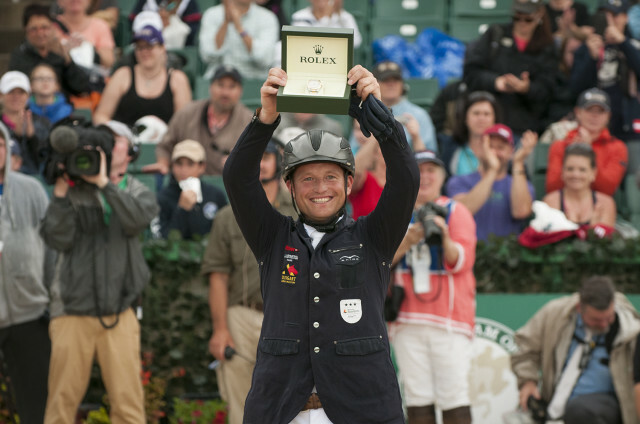 Germany’s Michael Jung remains undefeated at the Kentucky Horse Park, after winning the 2010 World Equestrian Games, Rolex 2015, and now Rolex 2016. Jung dominated from start to finish, expanding his lead in each phase and winning by an incredible 13.3 points. “The Terminator” will look to secure the Rolex Grand Slam aboard La Biosthetique Sam next week at Badminton. Scroll down for a full recap of the show jumping and stay tuned to EN for much more from Rolex. 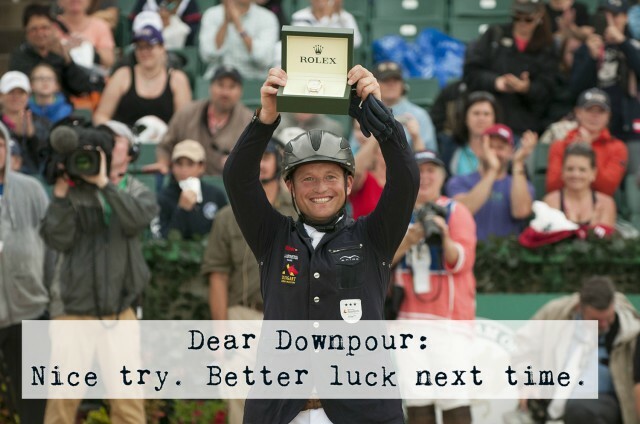 Go Rolex and go eventing. 3:40 pm ET: How do you feel about Kentucky, Michael? 3:39 pm ET: Congrats to your Rolex top 10! 3:38 pm ET: Jung gives the cheering crowd a waive and fischerRocana a pat after their huge Rolex win. 3:36 pm ET: Jung Wins! With just one rail down, Jung secures the second leg of the Rolex Grand Slam with a win aboard fischerRocana FST. 3:26 pm ET: Maya Black and the incredibly scopey Doesn’t Play Fair drop just one rail. That moves Lauren Kieffer and Veronica up at least one spot. Lauren Kieffer's 2nd ride of the day, Veronica, has just 1 time for a final score of 52.5, guaranteeing them a top 5 finish. 3:22 pm ET: A clutch performance from Lauren Kieffer and Veronica guarantees them a top 5. 3:13 pm ET: Even the best of all time occasionally has a bobble. NZB Campino jumps so well over a big oxer that Sir Mark Todd is popped a bit out of the tack. I can comfortably say I have never seen that happen to Toddy. 3:07 pm ET: Elisa Wallace clears the tricky FEI fence on her way to a 4 fault round aboard Simply Priceless. 2:54 pm ET: 3rd placed after the cross-country, Phillip Dutton and Mighty Nice jump out of order, adding 8 jumping faults. 2:49 pm ET: Boyd Martin rides in the middle of a full-out rainstorm, pulling just rail aboard Blackfoot Mystery. @JamesAlliston and Parker, who owned one of the quickest xc rounds yesterday, have 16 jump and 2 time penalties for a final score of 85.8. 2:41 pm ET: First to go after the break, Buck and Copper Beach jump in front of a crowd full of rain jackets and umbrellas as rain starts to fall at the Kentucky Horse Park. 2:28 pm ET: Quick break for ring drag! 2:27 pm ET: Lillian Heard and LCC Barnaby are the last to go before the break, adding just two rails. 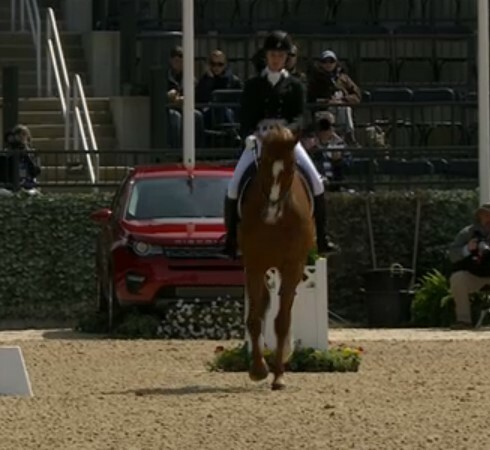 2:15 pm ET: Lainey Ashker gives the glory to Anthony Patch after an awesome double-clear. 2:10 pm ET: Sally Cousins and Tsunami jump boldly over the second fence. The pair finished with three rails. 1:56 pm ET: Watch the back rail of the oxer as Ryan Wood takes advantage of some EN Karma aboard McLovin. 1:49 pm ET: Kurt Martin gives Delux Z a big pat after delivering the first double-clear US ride of the day. 1:45 pm ET: Elisabeth Halliday-Sharp and HHS Cooley soar over the liverpool on their way to a 4-rail round. 1:36 pm ET: Holly Payne Caravella moves up to her distance from right out of the turn at the second fence aboard Santino. 1:28 pm ET: Arthur loses focus for a moment and pulls down an oxer early on the course. Allison did a good job of refocusing her veteran mount to finish their round. 1:18 pm ET: Ryan Wood and Fernhill Classic, riding out of order, get a little too close to the first and pull an early rail. 1:09 pm ET: Former Rolex champion Blyth Tait finishes the first double-clear round of the day aboard Xanthus. 1:04 pm ET: Courtney Cooper and Who’s A Star deliver the first zero-rail round of the day, but pick up 6 time penalties. 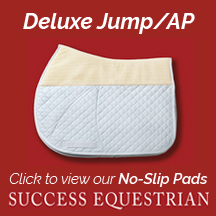 1:00 pm ET: Ellie MacPhail and RF Eloquence pull three rails to book a quality Rolex completion. 12:55 pm ET: Angela Grzywinski start the show jumping off with two rails down. 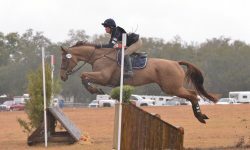 Welcome to part 2 of Eventing Nation’s Rolex cross country open thread [Link: Part 1 Open Thread]. Scroll down for all of the action from the afternoon cross country rides. Earlier this morning, Michael Jung and fischerRocana FST guaranteed themselves the overnight Rolex lead with just two seconds of time penalties [Replay]. Watch post-cross country interviews with Samantha Clark on EN’s YouTube page. Go Rolex and go eventing. 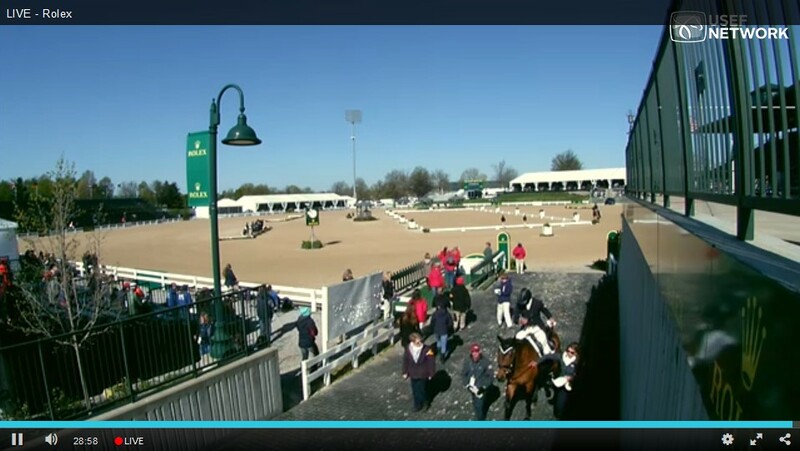 2:53 pm ET: The entire crowd here at the Kentucky Horse Park (including those of us in the media center) were cheering for Allison Springer and Arthur, placed second after the dressage. Allison was riding with incredible toughness and poise right up to and through the coffin at the Park Question, but Arthur lost his focus over the ditch and ran out of impulsion at the C element. 2:45 pm ET: Phillip with a vintage PDutty long-rein ride, maintaining perfect straightness at the corner in the middle of the Head of the Lake. 2:37 pm ET: Boyd and Blackfoot Mystery soar over the massive Dueling Tree at #18. 2:32 pm ET: Shout-out to drone cam, showing Buck near the end of his ride with Copper Beach. The pair finished full of run. No one made more effort to set their horses up in front of the fences today than Buck, and he was rewarded with two out of three clear rounds. 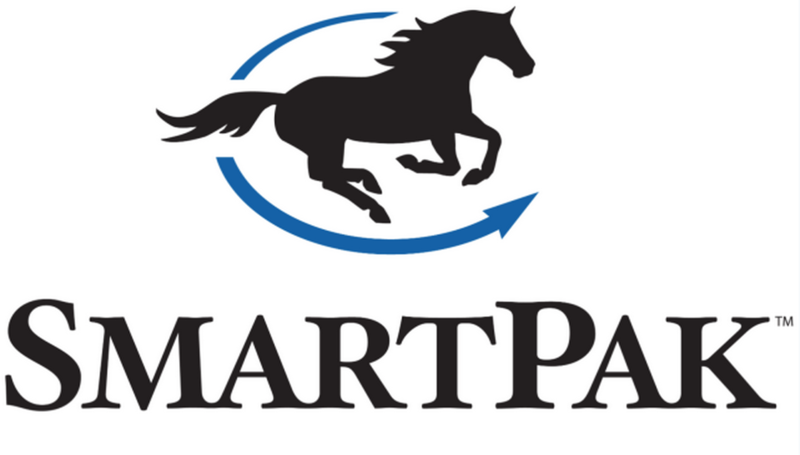 2:26 pm ET: Watch the legendary Mark Todd land directly in his galloping position. Toddy delivered a clinic on efficiency with his Olympic mount, NZB Campino, never pushing Campino beyond himself and finishing with as few time penalties as possible. @PowellCaroline @NZHorseandPon @myfei_home FEI TV Frozen again. Seriously, the worst service ever. 2:10 pm ET: Tiana Coudray and Ringwood Magister seemed to never get quite comfortable with the footing. Their day unfortunately ended early at the Creekside Cabin. 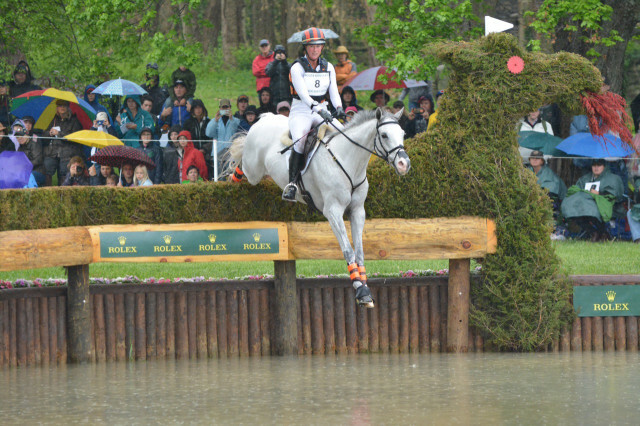 2:08 pm ET: Lauren Kieffer and Veronica jump expertly out of the Head of the Lake. 1:49 pm ET: Sinead rocks the stickability at the second to last as she finishes close excellent ride aboard Manoir De Carneville. Sinead was hyper-focused from the very first fence and finished with just over 9 time penalties. 1:43 pm ET: Kim Severson was delivering a foot-perfect ride aboard Fernhill Fearless until the pair lost a bit of communication right in front of the A element of the Park Question. They paid for it with a runout at C. We’re gutted for Kim – they were having a fantastic round. 1:33 pm ET: Hannah Sue Burnett holds the line with a great ride aboard Harbor Pilot to get the job done at the Land Rover Landing. We’re waiting for confirmation on whether she learned how to do that from a certain Young Riders teammate a few years ago. 1:26 pm ET: Hannah Sue Burnett and William deploy the frangible device at the third fence. The pair was given 11 penalty points for the deployment, although Hannah and her team will have the option to challenge the penalties. 1:20 pm ET: Matt Brown rides superbly into the Hollow, and is rewarded with a fine ride through the rest aboard Super Socks. Matt gave a hearty, “good boy!” on his way out. 1:11 pm ET: Santino hits the A element (shown) before a big drop at the Land Rover Landing, causing a runout at the B element for Holly Payne Caravella. Holly was held a few fences later for a fence repair after Sydney Conley Elliot and Cisko A broke a frangible pin. Holly’s ride aboard Santino impressed throughout, despite the runout. 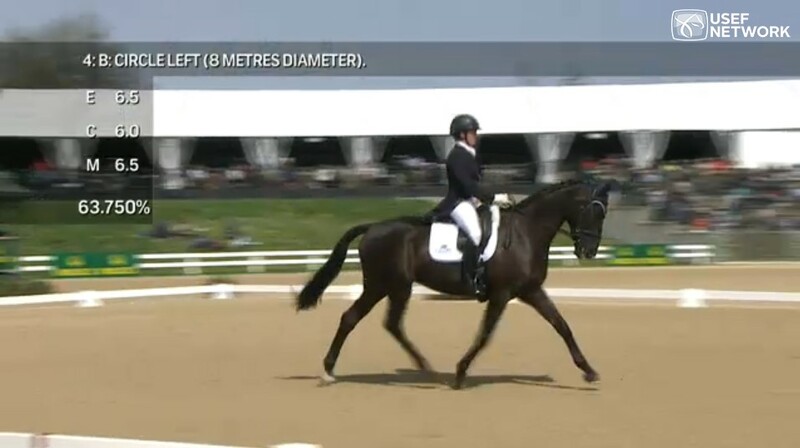 12:51 pm ET: 3rd placed after the dressage, Marilyn Little and Demeter started strong, but Demi appeared to tire later on course and the pair took a tumble at fence 22. Fortunately, both horse and rider got up quickly. 12:35 pm ET: Buck worked hard to produce a quality canter in front of the Water Park Half Pipe question late on course. The result – a great jump for the sporty mare, Petite Flower. Lauren Kieffer and Landmark's Monte Carlo. Photo by Leslie Threlkeld. 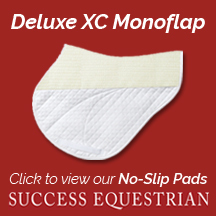 Welcome to Rolex cross country on Eventing Nation! This is part 1 of EN’s XC open thread, which covers the morning half of the cross country rides, including Michael Jung’s Rolex leading ride [Replay]. Click here for part 2 of EN’s open thread from the afternoon rides. Go Rolex and go eventing. 12:17 pm ET: Boyd showing excellent balance and a strong lower leg aboard his WEG partner Shamwari 4, jumping out of the Head of the Lake. 12:11 pm ET: Mikki Kuchta gives Rubens D’Ysieux a nice pat as she wisely pulls up after a runout late on course. Discretion was the better part of valor for this pair today. 12:09 pm ET: Ellie MacPhail gets a big hug from her fiance, Alex, after a great round. 11:57 am ET: Lynn Symansky and the OTTB Donner gallop across the finish line after a great ride. 11:48 am ET: Ze Terminator sees a long one from 5 strides out and fischerRocana FST steps up for her brilliant rider. We’re all living in Michael Jung’s world. 11:34 am ET: Kurt Martin and Delux Z jump well together out of the Head of the Lake. Happy birthday, Kurt! 11:24 am ET: Maya Black and Doesn’t Play Fair achieve liftoff with the boldest ride of the day at the 6A Creekside Cabin. 11:12 am ET: USEF Network guest commentator Will Coleman called this, “the most graceful leg-hang you will ever see.” Ellen Doughty-Hume and Sir Oberon got away with one at the Frog Pond. Well sat, Ellen! 11:05 am ET: Ashley Johnson and Tactical Maneuver with some smart tactics to take the long route at The Hollow. Rain still falling steadily here at #RK3DE — reminding us a lot of last year's cross country day, though at least it's not as cold! 10:46 am ET: Tim Price got caught on a half stride and fell from Bango one fence from home. The pair was having a great round and looked to be inside the time. 10:36 am ET: Tim Price and Bango with a controlled entry into the Head of the Lake. Liz Halliday-Sharp decided not to run Fernhill by Night. He had stitches a few weeks ago and she decided to play it safe. #Rolex16. 10:30 am ET: Lauren Kieffer and Landmark’s Monte Carlo over the big brush at #5 on their way to a clear round with just 2.8 time. 10:24 am ET: Lillian Heard and Share Option jumping into the hollow. 10:13 am ET: Boyd Martin and Steady Eddie with a strong ride at the Frog Pond. 10:08 am ET: Phillip Dutton and Fernhill Fugitive start the day. 9:54 am ET: We’re up to five withdrawals now: Liz Halliday-Sharp and Fernhill By Night (4th), Selena O’Hanlon and Foxwood High (30th), Jessica Phoenix and Abbey GS (39th), Jessica Phoenix and A Little Romance (45th), and Lillian Heard and FYI (70th). 9:03 am ET: We have one withdrawal before cross country so far: Selena O’Hanlon and Foxwood High. 8:55 am ET: All of us on the EN team are wishing the riders and horses an awesome day of great rides. Emily Cammock and Dambala. Photo by Kasey Mueller. 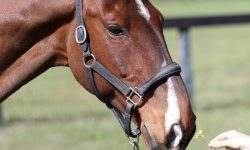 News of Dambala’s euthanasia broke during show jumping today at the Rolex Kentucky Three-Day Event, and Emily Cammock has provided more information to EN to explain the injury in detail, as well as the decision to euthanize the 15-year-old New Zealand Thoroughbred gelding. It came down to a very poor prognosis for “Oscar,” who aggravated an old suspensory injury on cross country yesterday, where he completed the course with 11.2 time penalties before being withdrawn last night. “Saturday evening, our vets were treating the injury as career ending. At that point, we felt that a recovery to a career as a pasture ornament might be manageable by leaving Oscar in the States. Plain Dealing Farm, where I spent some time as a groom in 2001, generously offered to provide a long-term home for Oscar, and we began making plans to transport him to Virginia,” Emily said. Emily is no stranger to lengthy periods of rehabilitation, as her 2008 Olympic hopeful Southern Ben sustained a tendon injury at Bramham that year, after which she flew him home to New Zealand and rehabbed him for two years. She added that she did not think the slippery footing or Derek di Grazia’s cross country course are to blame for the injury. Our hearts are broken for Emily, who flew Oscar here from New Zealand to compete in his first CCI4*, after which she planned to sell him in the States. 1st Place: 3rd place going into the show jumping, Michael Jung (GER) and fischerRocana FST rode earlier than their placing because Michael was in second place aboard La Biosthetique Sam. 2nd place: Tim Price (NZL) and Wesko pulled one rail to give up their lead. 3rd Place: Michael Jung and La Biosthetique Sam, former WEG and reigning Olympic champions. 4th Place: William Fox-Pitt and Bay My Hero, Rolex 2014 champions. 5th Place: Phillip Dutton and Fernhill Cubalawn were the highest placed Americans. Go Rolex, Go USEF Network. Emily Cammock and Dambala. Photo by Rare Air Photography. In very sad news from the Rolex Kentucky Three-Day Event, Dambala was euthanized this afternoon after sustaining a suspensory injury on cross country yesterday with New Zealand’s Emily Cammock. “Dambala (Oscar) had significant damage to his suspensory ligament, an injury which would only be able to be rehabilitated for retirement. Unfortunately, Oscar is not much of a spectator and rapidly returns to his wild state of his early life running free on Ngahiwi Station in NZ when he is not in work,” Emily told EN. The pair completed cross country yesterday clear with 11.2 time penalties, but Emily withdrew later in the afternoon. Rolex officials confirmed to EN on Saturday evening that all horses and riders were OK following cross country, but after completing the course, Emily posted on Facebook that the horse had aggravated an old suspensory injury. Oscar and Emily traveled to Kentucky from New Zealand to compete at Rolex. The 15-year-old Thoroughbred gelding won the CIC3* Horse of the Year title in New Zealand in 2015. This was his first CCI4*. Our hearts reach out to Emily, her team and all of her connections during this incredibly tough time. We will update this post as we learn more. Michael Jung is making a habit of winning at the Kentucky Horse Park, following his winning WEG 2010 ride aboard La Biosthetique Sam with a winning Rolex 2015 ride on fischerRocana FST. Scroll down for a play-by-play of the show jumping and check back with us throughout the day for much more from Rolex. 3:32 pm ET: Michael waves to a Kentucky Horse Park crowd that is getting used to cheering him on! 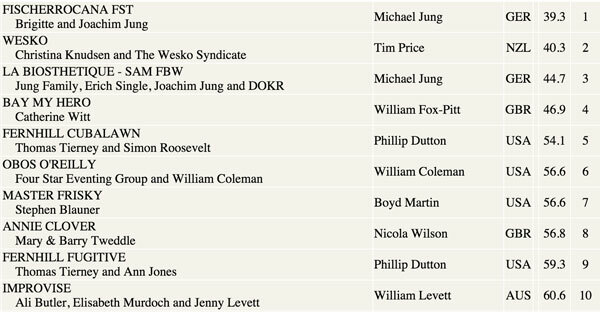 3:19 pm ET: Tim Price and Wesko pull a heartbreaking one rail to drop into second place, making Michael Jung and fischerRocana your Rolex champions. 3:13 pm ET: Perfection was not to be this weekend for Michael Jung and Sam. Sam dropped behind his stablemate, fischerRocana, with two rails down. 3:09 pm ET: William Fox-Pitt received a huge cheer from the Rolex crowd upon entering the arena aboard last year’s champion, Bay My Hero. William rode with his typically perfect form to help Bay My Hero keep all of the rails up. 2:51 pm ET: There was no way that Nicola Wilson was going to let herself have two bobbles in one day of show jumping. She finished with a double-clear aboard Annie Clover. Excellent ride! 2:48 pm ET: There’s so much to learn in a rookie performance at Rolex. Perhaps the most significant lesson is the experience of riding a horse that is tired from a four-star cross country ride. Elisa Wallace and Simply Priceless perhaps experienced a bit of that learning curve, incurring 20 jumping faults. Nonetheless, I hope Elisa is thrilled with her awesome performance this weekend. Her ride on Saturday was incredible! 2:46 pm ET: Lynn Symansky and Donner finish a Rolex weekend that they should be proud of, with one rail down. 2:42 pm ET: Michael Jung and fischerRocana lay down a perfect round to put all of the pressure on Tim Price. The lovely mare can finish no worse than 3rd and stands within a rail of the lead. 2:38 pm ET: Buck and Petite Flower enjoyed just the 4th double-clear ride of the day, so far. Shown above over the first fence of Richard Jeffery’s show jumping course. Great ride! 2:33 pm ET: Sara Kozumplik Murphy completes a quality round with 8 faults aboard Fly Me Courageous. Clear rides are few and far between right now! 2:25 pm ET: Colleen Rutledge and Shiraz capped of yet another excellent four star finish with an 8-fault show jumping round. Go Colleen! 2:19 pm ET: Cody Sturgess and Imperial Melody bring us back from the break. Cody was originally scheduled to jump before the break, but Imperial Melody reportedly pulled a shoe in the warmup. The officials kindly let Cody take the time to get his horse’s shoe put back on by scheduling them in a later show jumping spot. The lone Canadian Rolex finishers ended what must have turned into a hectic day with 32 jumping faults. 2:05 pm ET: Quick break for dragging the arena. Crackers finished his first #RK3DE feeling keen and full of himself and is now a bona fide four star horse. Colin Davidson would be proud. 2:02 pm ET: Boyd had 12 faults with Crackerjack. Hopefully that will be a good warmup for Boyd’s upcoming ride on Master Frisky. Go Boyd! 1:55 pm ET: Pirate was full of jump for Meghan O’Donoghue. Great round with one rail and two time! 1:49 pm ET: This course is causing all kind of rails, for experienced and inexperienced riders alike. Above, Buck with The Apprentice. Buck is an excellent show jump rider, but the course is getting the better of almost everyone right now. 1:38 pm ET: Even the very best in the world get it wrong every once in a while. Nicola Wilson going bowling with Watermill Vision. We’ve all been there, Nicola. 1:34 pm ET: Lillian Heard and Share Option with the first double-clear of the day! Was looking like a game of Pick-Up-Sticks out there until Laine Ashker and Anthony Patch came in and showed 'em how it's done. 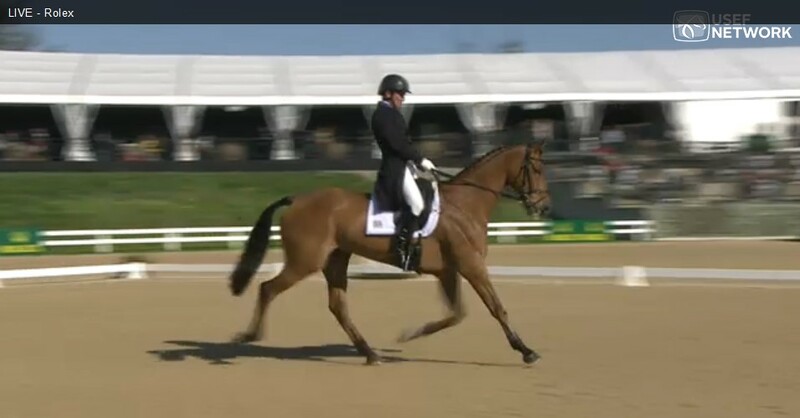 1:28 pm ET: Imperial Melody reportedly lost a shoe, presumably in the warmup, so Cody Sturgess will be allowed to have that put back on and then show jump later, according to John Kyle on the USEF Network. 12:55 pm ET: I spoke with a couple farriers this morning. We joked that farriers are about the only people in eventing who like muddy (soft) ground. The consensus was that the farriers had a fairly easy time of things overall, whereas the vets were busier dealing with soft tissue injuries. 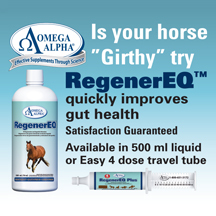 It sounded like there some issues with back and hindquarter soreness after the horses had to work hard to dig themselves out of the mud at every jump and then stay balanced on the landing. 12:48 pm ET: We’re just a few minutes from the start of show jumping at 1:00 pm ET. Good luck to all of the competitors! 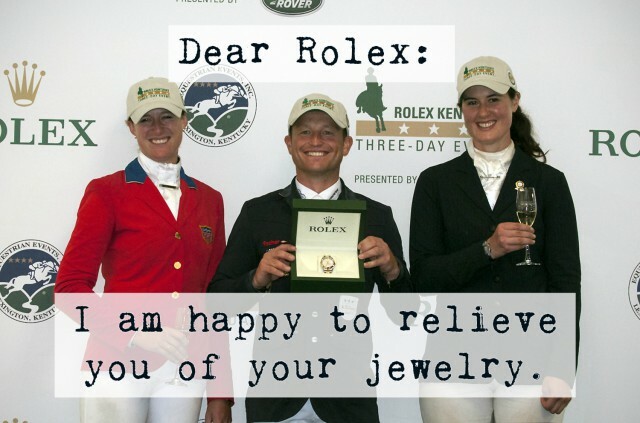 Go Rolex and Go Eventing! 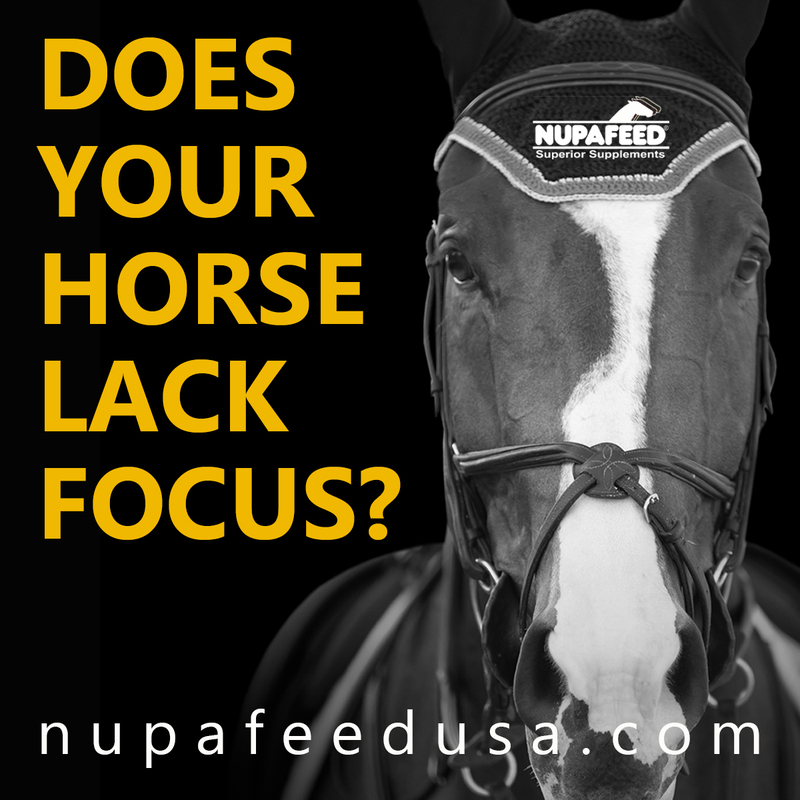 We have been saying it all weekend, but I want to emphasize our many thinks to our friends at the USEF Network for their awesome work broadcasting all of the Rolex action. 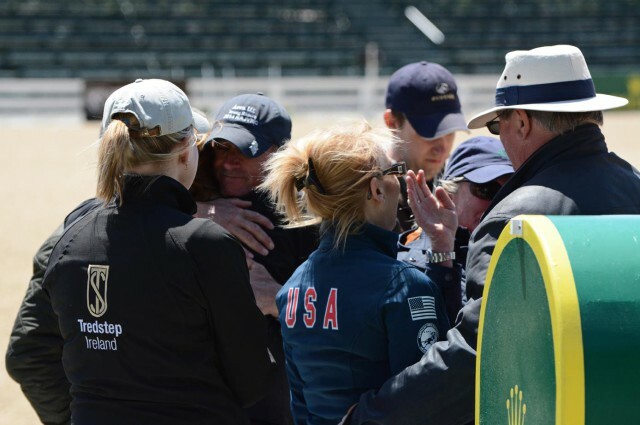 This includes commentator John Kyle, all of his guest commentators, Frankie Thieriot, and the entire USEF Network crew. Welcome to part 2 of 2 of our open thread coverage of Rolex 2015. Click here for part 1 of 2 of the open thread, which covers the first half of the Saturday action. All scores are provisional. Go Rolex! 5:35 pm ET: Will Faudree and Andromaque have withdrawn following the cross country. 4:06 pm ET: We have confirmed that all horses and riders who fell today are uninjured, minus a few bumps and bruises. Given the conditions, this is a wonderful testament to course design, course building, good officiating, good riding, and good horses. 3:53 pm ET: In your friendly frangible pin update, Will Faudree and Andromaque, Lillian Heard and Share Option, Allie Blyskal Sacksen and Sparrow’s Nio, and Ellen Doughty-Hume with Sir Oberon have all been given 11 penalties for breaking frangible fences. Francis Whittington’s 11 penalties have been removed. Seriously though, as an anecdotal note, it looked as though the frangible pins really did their job out there today. Don’t believe me? Check out the images below. 2:17 pm ET: This concludes the cross country action for Rolex 2015! Scroll down for a recap of the exciting action, ridiculousness, and insanity. And of course stay tuned to EN for much much more from cross country day. Oh no, after such a brilliant round, devastating news to hear Dambala has pulled up lame and Emily has withdrawn him from the competition. How heartbreaking. 2:15 pm ET: Eventing New Zealand has is announcing that Emily Cammock has withdrawn Dambala after the cross country. Your #RK3DE top three: Tim Price/Wesko, Michael Jung/Sam, Michael/Rocana. Stay tuned for the full report on EN! 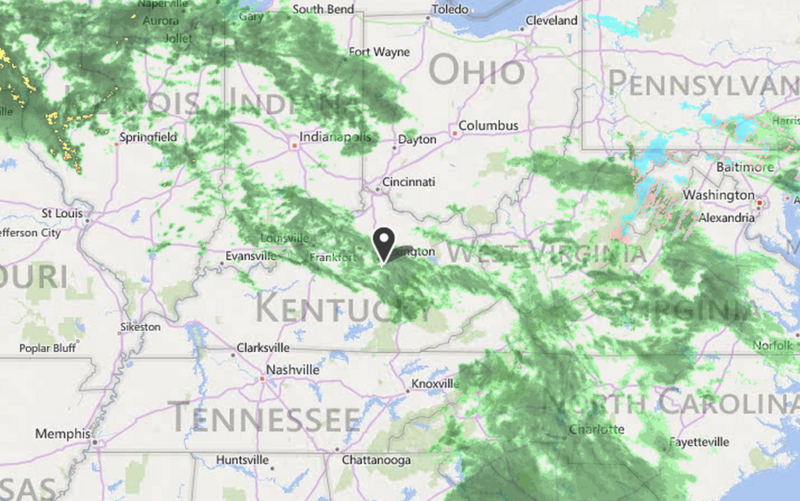 2:14 pm ET: Too soon, too soon. 2:06 pm ET: Phillip and Boyd share their joy after two wonderful cross country rides to end the day. Is anyone surprised that the pair of long-time friends make up the two highest placed Americans at Rolex after cross country? This hug makes my day. 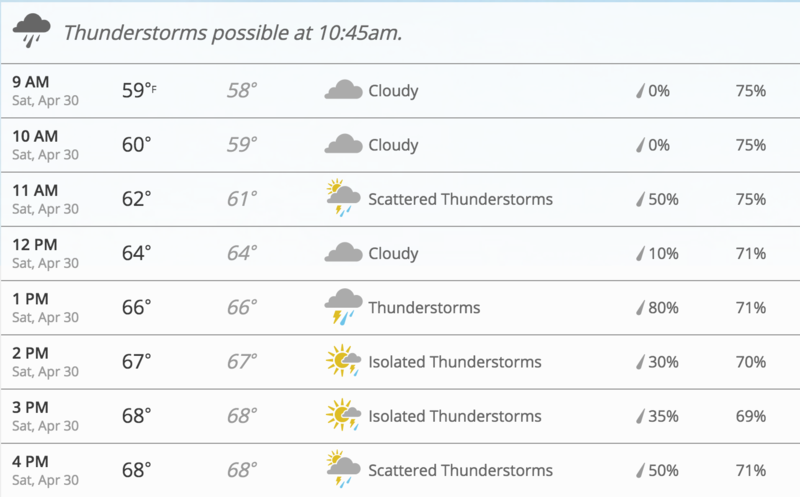 I’m almost surprised the sun doesn’t come blasting through the clouds in a cascade of rainbows. #bromance #boylip 1:55 pm ET: Phillip Dutton and Mighty Nice make the Normandy Bank at 23 A, B, & C look effortless. PDutty navigated Happy around almost perfectly, picking up just 3.2 time penalties. 1:50 pm ET: In an incredible moment, Michael Jung stood up to pat Sam right before the finish line, presumably feeling like he had made the time, but he cut it too close and they took one second worth of time penalties, giving Tim Price the outright overnight lead. Time will tell how expensive those pats were. 1:46 pm ET: Buck and Reggie decide to leave one out with a bold ride at the Market Moguls, jumping out of the camera frame. They would retire a few fences later after 20 penalties at the Frog Pond. 1:41 pm ET: Michael Jung gives his long-time partner Sam a pat after working their way through the Park Question. 1:34 pm ET: William Fox-Pitt and Bay My Hero , as usual, demonstrate the perfectly calm yet perfectly forward ride into the now very slippery Market Moguls question. They finished clear with a few time penalties. 1:27 pm ET: Marilyn Little and Demeter got off line a little bit in the coffin, I mean “Park Question,” at 8, 9 A & B to pick up an unfortunate 20 penalties. They retired later on course. 1:19 pm ET: Gina Miles sat very well to get through a sticky moment early with SVR Ron. They would later retire on course. 1:14 pm ET: Colleen Rutledge and Covert Rights showing off a camera angle from an arial drone as they soar across the massive table. 1:10 pm ET: Bill Levett shows his determination getting out of the Frog Pond early on the course with Improvise. The B element is riding huge today. 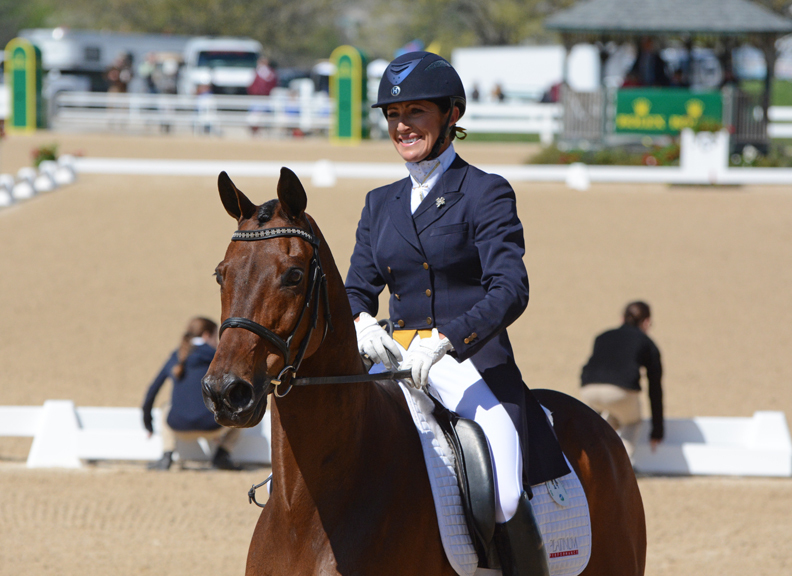 1:04 pm ET: Will Faudree and Andromaque – jump it Missy! They finished with just 5.6 time penalties and 11 penalties for breaking a frangible pin. 12:58 pm ET: Donner the Deer and Lynn Symansky soar out of the Frog Pond at #7. Lynn came out riding with the look of a strong sense of purpose. Riders really need to attack this course early on to set a good tone, and Lynn did just that. Clear with 10.8 time. 12:50 pm ET: Allie Knowles and Sound Prospect getting AIR over the table at #2. They unfortunately picked up 20 penalties at the coffin soon thereafter. 12:46 pm ET: Katie Ruppel with a quick helmet adjustment aboard Houdini. The pair picked up an unfortunate stop at the Head of the Lake and were later eliminated for refusals on course at the Water Park duck pond. 12:42 pm ET: Amanda Wilson and Cool Decision worked their way around Derek Di Grazia’s course with 20 jumping penalties. 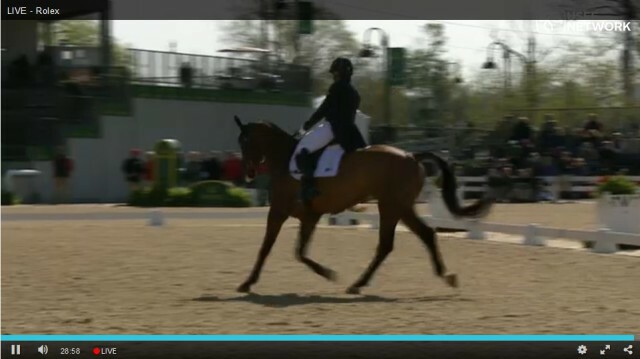 12:41 pm ET: Holly Payne and Never Outfoxed were unfortunately not shown very much on the live feed, but they finished a great round with just 5.6 time penalties. 12:39 pm ET: You can see the ground getting torn up on the landing of the Market Moguls at fence #4 as Lizzie Snow and Coal Creek land after a great ride through. They finished a quality round with 22.8 time penalties. 12:33 pm ET: Tim Price and Wesko finished double-clear. There was a brief wait while the officials figured out the pair’s time, due to the hold on course, but Tim reportedly finished under the time and is therefore guaranteed the overnight lead. 12:30 pm ET: We people are crazy! 12:16 pm ET: After a hold on course, for some reason the officials continued to hold overnight tied leaders Tim Price and Wesko, despite releasing Meghan O’Donoghue out of the start box. Tim was released a minute or so after Meghan started. Surely, there is a lot to coordinate on a restart! After an 8+ minute break, Wesko started back for Tim looking fresh and relaxed. The provisional times are going to be a complete mess for at least a short time. Dana Windstrand rode past Tim during the hold, I believe. 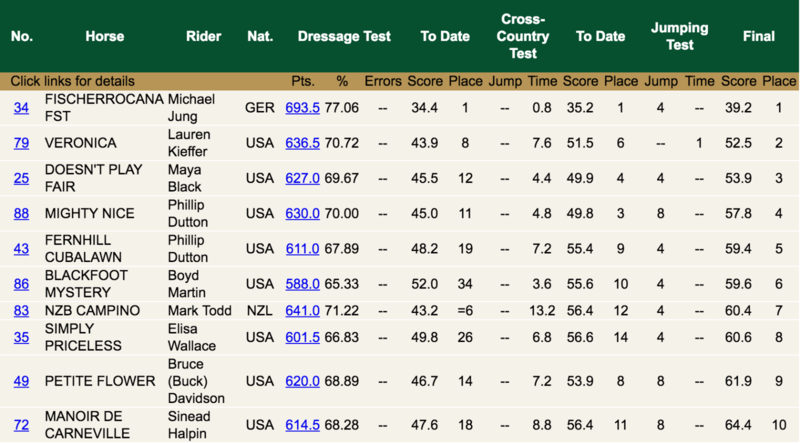 12:20 pm ET: Tied for first after dressage, Tim Price and Wesko of New Zealand, soared over the first part of the course. They were just slightly back on time when they were held due to a fence breaking in Mackenna Shea’s tumble. Tim wisely hopped off Wesko to give the horse a moment to catch his breath, although the move probably got Tim’s saddle completely soaked! 11:55 am ET: We’re half way through the cross-country action at Rolex. 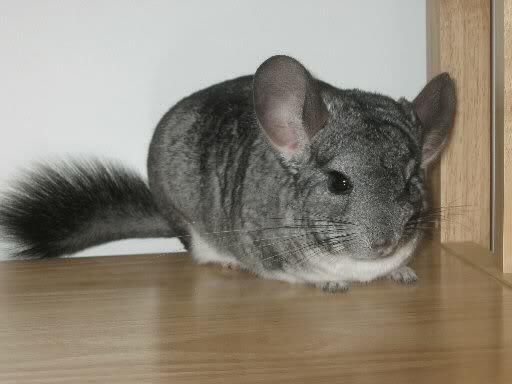 To save the chinchillas from dealing with a server crash, we are starting a new open thread for the second half of the action. So this is part 2 of 2. Click here for part 1 of 2 of the open thread. Welcome to Saturday at Rolex on Eventing Nation! This is part 1 of 2 of our open thread coverage. Click here for part 2 of 2, which features the second half of the afternoon rides. Due to predicted afternoon thunderstorms, riders are heading out at 3 minute intervals without a break until the last rider. All scores are provisional. Don’t forget to follow us on Twitter for live scores and commentary. Thanks to Merial for sponsoring today’s open thread action. Go Rolex! 11:51 am ET: To save the EN servers, we’re going to flip to a second open thread post for the second half of the rides. This is part 1 of 2. Scroll down to see all of the action from the first half of the Rolex Cross-Country Day. Click here for part 2 of 2, covering the second half of the rides. 11:50 am ET: Buck and Petite Flower had one of the boldest rides of the day through the Head of the Lake. That is the right ride there today. The best thing about the HOTL is that the footing is already wet, so the rain doesn’t make a bit of a difference. 11:44 am ET: Phillip with a vintage PDutty stick-tap over an early spread fence to get things going aboard Fernhill Cubalawn. 11:40 am ET: Strong Irish rider Austin O’Connor is shown getting the job done at the Land Rover Hollow. Unfortunately, Austin pulled Belham Houdini up just after this fence. Looks like things are in the bag for Emily Cammock and Dambala. He’s for sale, so if you want him, he just jumped clear around #RK3DE ! 11:35 am ET: Keep all those legs up Sir Oberon! Ellen Doughty-Hume worked hard early on the course to get the genuine and scopey Sir Oberon ahead of her leg. 11:28 am ET: The big table at fence #2 is causing some sticky rides. Emily Cammock and Dambala of New Zealand slipped on takeoff – perhaps my biggest fear on XC. Emily sat great and let Dambala sort it out. I wonder if they will consider taking #2 off of the course as the ground gets more torn up in front of it. 11:19 am ET: Repair time! The crew did an incredible job getting the fence repaired in just a few minutes. 11:10 am ET: Francis Whittington and Easy Target put an extra stride in on top of fence #2, the Stepped Table. Get it Smoky! 11:23 am ET: Sara Kozumplik Murphy and Fly Me Courageous finished with 6 provisional time penalties. 11:05 am ET: Barb Crabo takes the long walk home after a tumble from Eveready. Shoot! 10:57 am ET: Elisa Wallace and Simply Priceless get it done at the huge ditch and brush. Great, gritty riding from Elisa. First time shmirst time. The pair finished an awesome clear round! 10:49 am ET: Sally Cousins unfortunately parted ways from Tsunami. It looked like Sally got slightly off line with Sue and ended up at an off distance to the B element in the head of the lake. 10:43 am ET: Sit back Caitlin! Caitlin SilimanJumping into the first water complex with Catch A Star. They finished with 20 penalties and 15.6 time. 10:40 am ET: Allie Blyskal Sacksen and Sparrow’s Nio leave one out at the A element of the Head of the Lake before picking up a quick runout at the B element in the water. 10:33 am ET: James Alliston getting a huge hug from his lovely Mom, Petey, after his ride. James Alliston and Parker are home clear on 10:53. Clear at #RK3DE yet again! 10:28 am ET: James Allison lost one of his two pair of reins, but kept his cool and got it done with Parker at the Hollow. 10:25 am ET: Frankie Thieriot is reporting on the USEF Network that the footing is riding slicker than the riders had originally anticipated. We have seen a few slips out there for sure. @JohnKyleSpeaks snarking that @LEAshker is wearing “a skyscraper” on her helmet. It’s a helmet cam and we Americans are rather fond of them! 10:23 am ET: Selena O’Hanlon and Foxwood High are shown above retiring, but the scores show them as eliminated at the Head of the Lake. 10:15 am ET: Michael Jung took advantage of fischerRocana’s amazing huge gallop to tear up the early part of the course. Michael almost had to ease the bold jumper into the combinations so that she wouldn’t jump past her distances (or jump Michael out of the tack!). 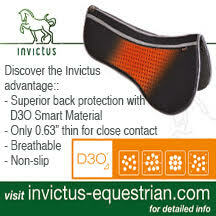 They finished on their dressage score to set the mark at the finish line of 39.3. 10:11 am ET: Werner Geven and Vandiver retired at the quarry after incurring 20 penalties earlier on course at the coffin. A true horseman, Werner made a good decision to save his horse for another day. 10:09 am ET: Nicola Wilson with a big jump into the Market Moguls to start her ride with Watermill Vision. 10:04 am ET: Buck Davidson and The Apprentice got a little tight to the last element of the Market Moguls at #4. 9:59 am ET: Phillip Dutton and Fernhill Fugitive took the right line at the entry to the coffin. Phillip looked after his young horse to navigate safely home with just time penalties. 9:50 am ET: Colleen Rutledge and Shiraz delivered the trail-blazing performance that everyone expected, finishing on their dressage score and making the course look easy. That is going to give all of the riders a lot of confidence. 9:46 em ET: I just want to say “good luck!” to all of the competitors – you all rock, guys! The start of Rolex cross-country is a nervous “butterflies” moment for riders everywhere, as we all want everyone to have a fabulous run. Now, more than ever, Go Eventing! Additionally, Jessica Phoenix has withdrawn Pavarotti. This was a planned move that Jessie knew she would make coming into the weekend. Jessie ant ‘Rotti were the highest placed Canadian pair after the dressage, sitting in 10th. Michael Jung and Sam. Photo by Jenni Autry. Welcome to Rolex 2015, day two, afternoon edition. The USEF Network will be streaming live all day today for those in the U.S. and Canada, and you can click here for times and options for watching if you are not in North America. Refresh this page frequently for the latest updates from dressage this morning, and don’t forget to follow us on Twitter for live scores and commentary. Go Rolex! 4:31 pm ET: Can you see Sally O’Connor cheering for Boyd from within the Land Rover? You know you rode well when Sally O’Connor is cheering. 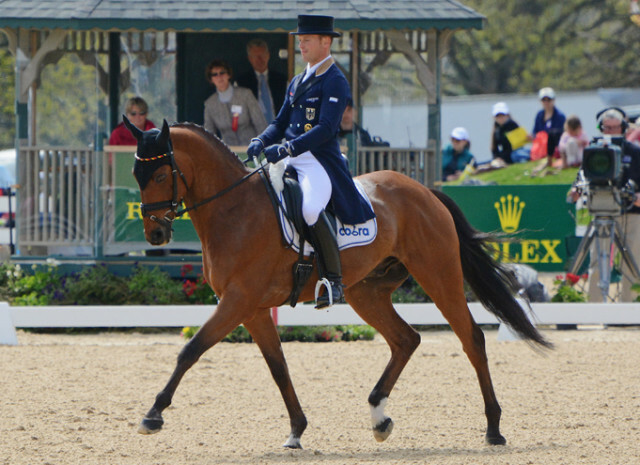 74 horses entered the dressage arena at Rolex 2014. The last of the pairs to enter was Boyd Martin and Master Frisky. They showed a great deal of potential and some lovely canter work to move onto cross-country on a 46.3. 4:18 pm ET: Phillip protected Mighty Nice just the right amount in the trot work to get excellent impulsion without the risk of a bobble. They followed the trot with their typical lovely walk work and then a rhythmical canter section. Clap along if you feel like happiness is the truth because I’m happy. 4:16 pm ET: Oh, wait, we still have Phillip Dutton and Boyd Martin left to ride. Ok, right, let’s do that. 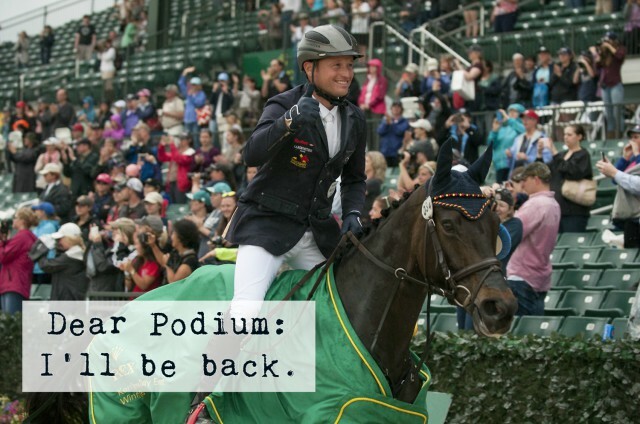 4:16 pm ET: Well, what a great day of Rolex dressage that was! So many awesome competitors! 4:16 am ET: Leslie W has clearly taken over the Twitter feed. 4:10 pm ET: My commentary for Buck’s ride: Go Reggie!!! Reggie has nothing left to prove and Buck can just focus on trying to have fun with his wonderful partner this weekend. 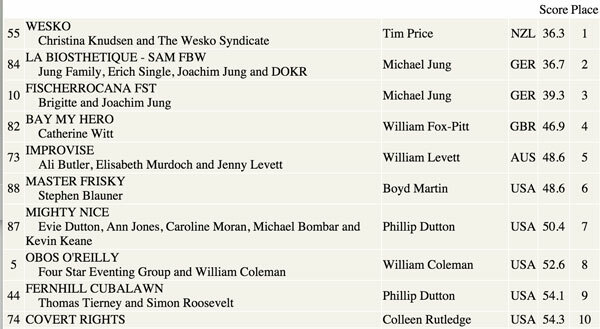 3:51 pm ET: La Biosthetique Sam’s record under Michael Jung is almost laughably good. The horse hasn’t placed outside the top 3 in an FEI competition since 2008. Although, in fairness, the horse is competing in just his first 4* since 2013. In a Friday afternoon atmosphere that has made so many riders dial back and play it conservatively, Michael was able to press right into his veteran partner and generate lovely forward gaits. Sam also took advantage of the great dressage horse’s secret weapon — a high-scoring walk. 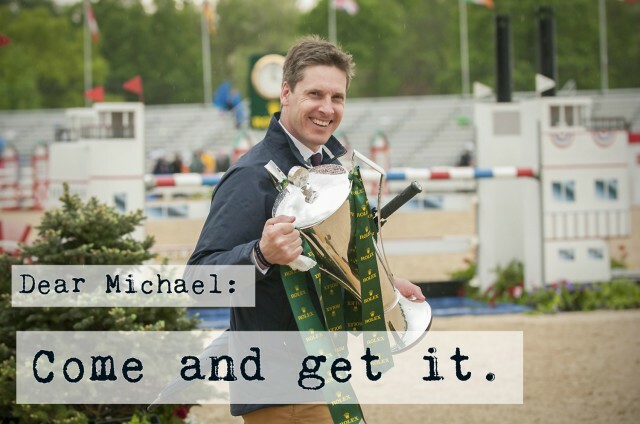 Why do I call Michael the “terminator?” It’s partly because his timing in dressage has machine-like precision. He always asks Sam to do the right thing at exactly the right time. As Shannon Lilley said on the USEF Network, we are so fortunate to have Michael and Sam competing here in America again. 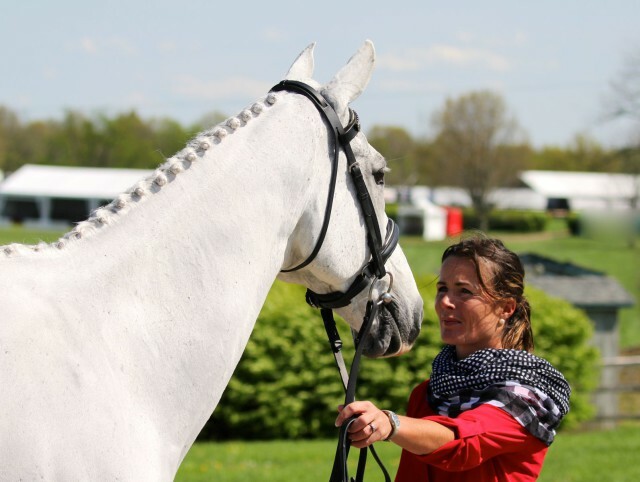 3:47 pm ET: Eventer, race car driver and commentator, and world traveler, Liz Halladay-Sharp drew the challenge of following William in the dressage arena. Liz did an awesome job of keeping the fiery Fernhill By Night as cool as a cucumber. I’m excited to se this pair go around Derek Di Grazia’s course tomorrow. 3:39 pm ET: And. Here. We. Go. Last year’s Rolex champions, William Fox-Pitt and Bay My Hero, competed with their normal poise, precision, and ease to score 38.4 penalty points. 3:34 pm ET: Lauren Kieffer and Veronica only had one place to improve over their 2nd place performance at Rolex last year. Lauren did a terrific job riding Veronica through the tense atmosphere to score a 44.2. A lesser rider or a rider who didn’t know her horse as well as Lauren does would have scored over 50 on Veronica today. 44.2 betters Lauren’s score last year by a couple points, provisionally. 3:17 pm ET: Break time! We’ll be back at 3:30 pm ET with some very heavy hitters in the last group of Rolex 2015 dressage. 3:26 pm ET: Werner Geven of the Netherlands celebrating his first time back at Rolex since 2007, as the awesome John Kyle pointed out on USEF Network. 3:07 pm ET: USEF Network guest commentator Shannon Lilley said that Pavarotti has a lovely canter, with great reach and lift, and I couldn’t agree more. This top Canadian pair is expected to withdraw before the cross-country. 2:54 pm ET: The long line of lovely mares at Rolex continues with Demeter, ridden by Marilyn Little. Much like riders wearing helmets in dressage, it’s nice that Marilyn’s transition from show jumping into eventing is so complete that it feels like almost a non-story at this point. Demi relaxed as the test went on, finishing on what I think is their best 4* test so far and probably the best overall dressage test I have seen from them. Demi scored 6.7 points better than Rolex last year, provisionally. 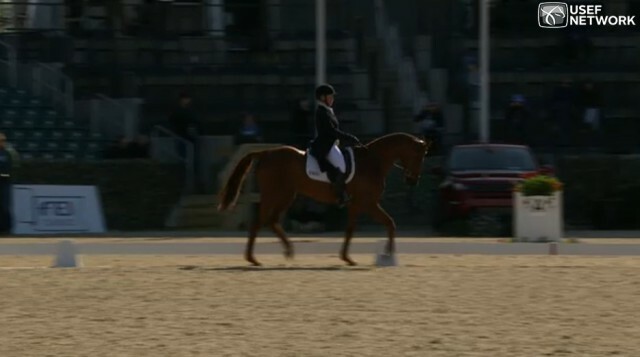 2:50 pm ET: Look at the walk on Nicola Wilson’s lovely ride, Annie Clover. I’m excited to watch this pair jump this weekend as they defend their provisional 45.6 dressage score. How is Nicola Wilson one of the least discussed European riders at Rolex this weekend? 2:34 pm ET: It’s hard to think of a more deserving pair than Jennie and Cambalda. Ping’s history of bad luck here at Kentucky is well documented. I’ll be about the millionth person to say that this pair is due for a great weekend. After a 55.0 in 2014, the pair scored 47.9 provisional today. Onward! 2:23 pm ET: Oh, wow, another 4* ride for Colleen. After taking her other 4* horse to complete all of the northern hemisphere 4*’s. And this one is super nice on the flat. But sure, let’s never put Colleen on an official training list. Makes perfectly good sense to me. 2:21 pm ET: Bill Levett had an early bobble with Improvise, but the pair got better and better throughout their test to score 48.4. An early bobble is so hard to overcome because the judges can get in a groove of lower scores. Bill Levett is awesome and everyone should cheer for him. And that’s all I’m going to say about that. 2:04 pm ET: Break time! 1:55 pm ET: Fan favorite and true amateur Rolex competitor, Kevin Keane is riding in his second 4*, competing at his first here last year. 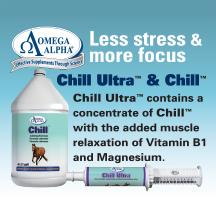 Kevin is a top top sports medicine veterinarian who I have and happily would trust with the care of my horses. And at the end of each day spent treating horses, he goes to the barn and rides “Butterfly.” I think we might be able to give Kevin the most improved award as well — his seat and overall accuracy have come so far over the past year. This is an amateur looking like a very top competitor at Rolex. Let’s appreciate that for a moment. Kevin wisely held back on the canter work a bit, leading to better changes. 51.6 provisionally. Go KK! 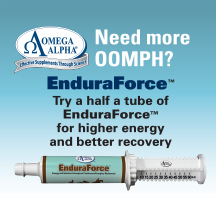 1:49 pm ET: Will Faudree and Andromaque are one of the many pairs I am cheering hard for this weekend. Missy has a special place in my heart as being one of my very favorite horses for a long time now. I remember watching Missy at her first few intermediate competitions and just knowing that we would see her at 4*’s. Missy returns to Rolex after competing here in her first 4* in 2012, where the pair finished 16th. Missy has battled the unlucky injury bug and I just feel like she is due for awesomeness. As much as I like Missy, it’s clear that no one on earth loves her as much as Will. 1:40 pm ET: Lynn Symansky rode Donner the flying deer a little conservatively today to make sure they finished on a solid score. I’m inclined to think that Lynn knew exactly how much to push for, given the atmosphere and her goals for the weekend. Here’s to hoping Lynn and Donner have an awesome rest of the weekend. 1:31 pm ET: Lynn Symansky is about to enter the arena with Donner. In my opinion, Lynn’s ride is the demarkation on the start list for where we could really start to see the top of the leaderboard get shaken up. Go Donner! 1:24 pm ET: USEF Network’s Frankie Thieriot reports High Kingdom kicked out in the stables and cut his leg. Frankie said that when Zara and her team got to the warmup, they realized that it was more significant than they had originally thought. High Kingdom has returned to the stables for sutures to the small cut. Zara will likely look to re-route to Badminton as she reportedly still has an entry there for High Kingdom. The entry was likely held for just such a contingency. It’s quite the luxury to get to re-route to a 4* so quickly, as High Kingdom is likely on very peak form. Maintaining such form until a summer 4* can be a real challenge, especially from a soundness perspective. 1:13 pm ET: In a surprising moment, Zara Phillip and High Kingdom withdrew from the warmup, just a few minutes before their ride time. Zara was seen standing beside High Kingdom with her team looking on closely as their withdraw was announced. Much more as we know it. Welcome to Rolex 2015, day two! The cold has broken a bit, leaving riders with a windy and still slightly chilly morning in which to navigate their dressage tests. The Kentucky Horse Park grand stands will get more and more filled as the day moves on towards the keynote rides this afternoon, so we can expect the atmosphere to grow with every ride. 11:37 am ET: And that takes us to the lunch break here on day two of #RK3DE. Here is your top 10 after the morning sessions — we’ll have a full report up soon! 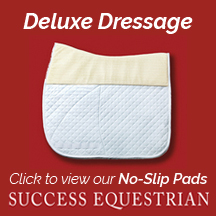 11:34 am ET: Rachel rides Irish Rhythm in the very soft Nathe bit, a much loved bit for dressage for sensitive horses. Another fun fact, Irish Rhythm is one of the many OTTBs competing here this weekend. He raced 43 times and earned just over $25,000 on the track. Amanda Wilson overcome with emotion as she leaves the ring. 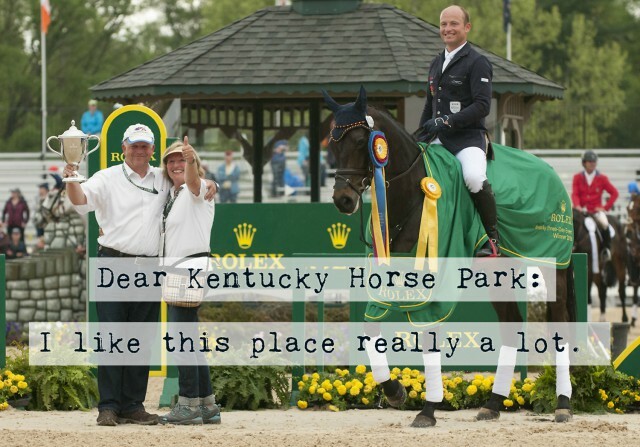 Lovely moment and what #RK3DE is all about! 11:31 am ET: 67.2 for Amanda Wilson and Cool Decision. 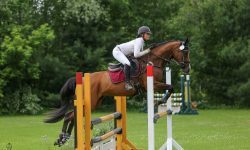 Just one more to go before we break for lunch, Canadian rider Rachel McDonough and Irish Rhythm. This pair finished 25th last year. 11:26 am ET: We would be beaming too! 11:22 am ET: What a lovely test from Katie and Houdini. They scored a 49.8 which is good for 7th place currently. To put this improvement into perspective, they scored a 61 last year. Well done, Katie! 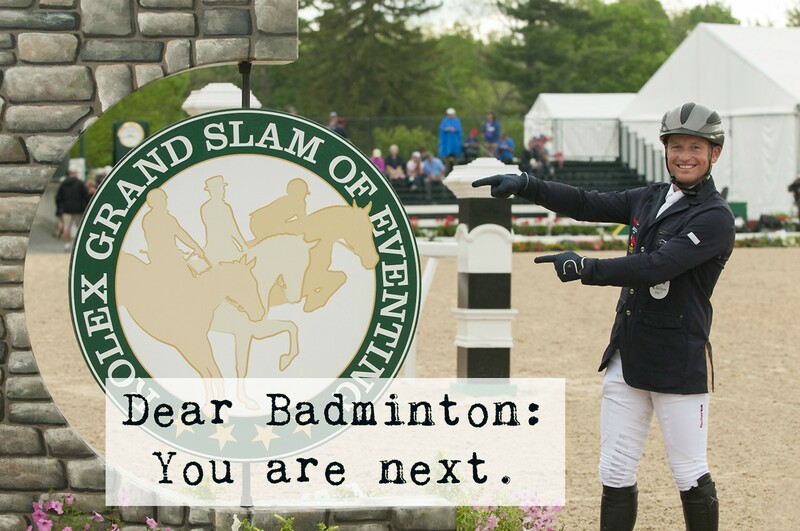 11:30 am ET: Only if I can come with you, Eventing Husband. If and only if. 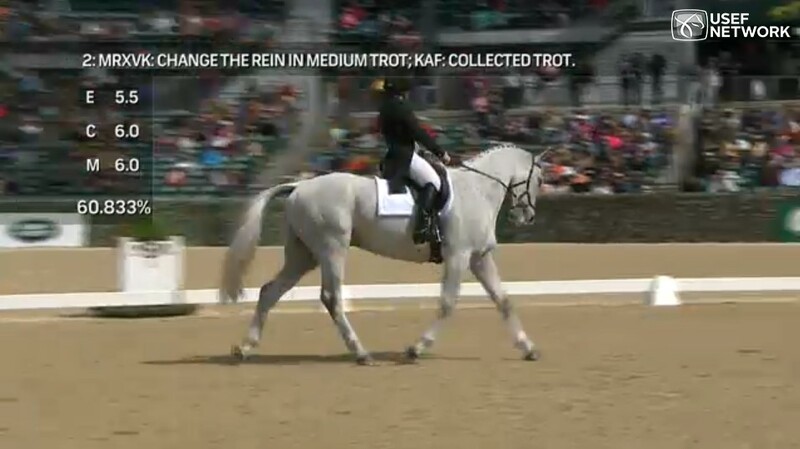 11:16 am ET: Katie Ruppel and her OTTB, Houdini, are getting ready to canter down center line now. Houdini is back for his second Rolex this year. And we’re just in love with his face markings. Katie calls it a “rubber chicken face.” See any resemblance? 11:14 am ET: A 61.5 for Lizzie Snow and Coal Creek in their #RK3DE debut. Just a couple more to go before the lunch break for today. 11:10 am ET: Lizzie has said that Coal Creek can be stronger depending on the venue he’s at. He looks obedient for her so far in this test. They’re trending in the low 60s for percentage currently. 11:08 am ET: Surely an emotional time for all who knew and loved Amy Tryon, as Coal Creek is a former ride of hers. Thinking of you today, Amy! 11:07 am ET: Another Rookie is in the ring now: Lizzie Snow and Coal Creek. 11:06 am ET: Jordan and RevitaVet Capato earn a 51.7 — a great Rolex debut for this gelding. Just outside of the top 10 in 11th at the moment. 11:04 am ET: A nice big jumping extended canter from Jordan. This horse has a huge stride — will be fun to see tomorrow. 11:03 a.m. ET: 63.6 for Holly Payne and NeverOutfoxed. That horse is super fun to watch on cross country. 11:02 am ET: Jordan Linstedt and RevitaVet Capato are in the ring now. Check out our interview with Jordan here. 10:58 am ET: “He looks ready for tomorrow,” Karen O’Connor on Never OutFoxed as Holly finishes to big cheers. 10:56 a.m. ET: Sally is taking over for John for a bit, which he says will be “boring and serious.” My apologies. 10:50 am ET: Longtime partners Dana Widstrand and Relentless Pursuit had a bobble in the canter work that echoed through a few additional moments. But they finished with an awesome square halt to cap off a good overall test to score 58.1. Break time! 10:24 am ET: Meghan O’Donoghue and Pirate had the misfortune of following Tim Price’s lovely test. The veteran pair rode some of the most accurate canter work we have seen thus far to set their Rolex best score of 54.2, which ties her score at Burghley last year. 10:18 am ET: One really nice element of Rolex this year for me is that it feels genuinely odd to see a rider in a top hat. When Tim Price entered the arena, I had to pause and ask myself “is that legal anymore?” The riders based in Europe seem to be the only riders leaning toward wearing top hats this year. 10:12 am ET: Reigning Luhmuhlen champions, Tim Price and Wesko of New Zealand, were the first non-US riders to compete on Friday. As Michael Pollard said on the USEF Network commentary — you have to be pretty darn good on the flat to win a 4* in Germany. Tim and Wesko wowed the judges with extremely clean and precise work. They were so organized that it looked like they just had more room in the arena than any other pair. 36.3 sets the new low score of the competition. 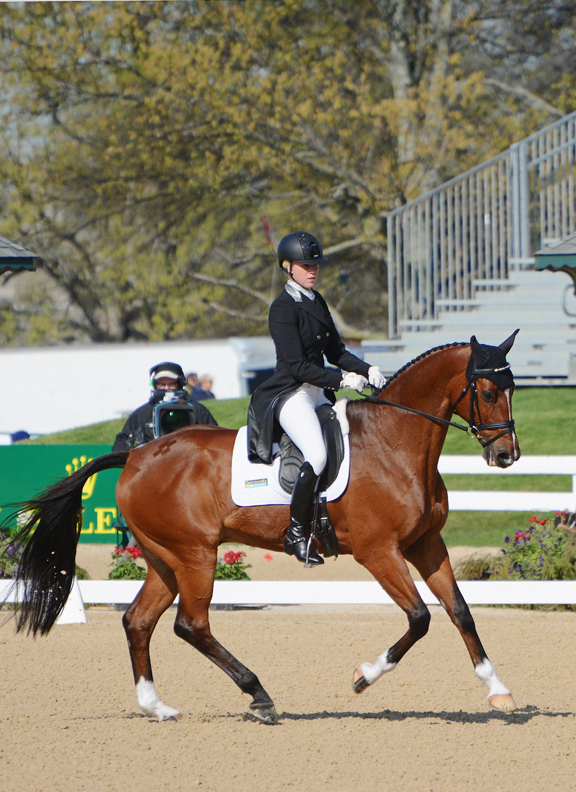 10:03 am ET: Anna Collier enters the arena as the last of 5 awesome young US lady riders to start off Friday dressage. Gleaming Road gave Anna a great reason to smile as they worked their way to a very nice 66.0. Frankly, I felt they deserved a better score than that. After a few very low early scores, the judges came back to earth a bit, unfortunately. 9:54 am ET: Oh, hi Mackenna, It’s your first time at Rolex? You’re the youngest rider at Rolex? Why don’t you just come into the arena and deliver a perfectly rhythmical, straight, and accurate test with Landioso? Oh, you just did that? Ok, good. 44.0. 9:40 am ET: Rolex rookie Maya Black delivered yet another awesome first-time performance for Rolex 2015. Cody bobbled out of the first centerline, but Maya stayed calm, cool, and collected to pull every possible point out of the rest of her test. You can see Cody’s incredible spring in the canter that translates into his fantastic jumping. 9:30 am ET: Lillian Heard and Share Option started the action at Rolex on Friday. Share Option wowed the judges with lovely early flatwork. Lillian and Share Option scored a 51.6 to get the morning off to an awesome start that puts her into a great position going into the weekend. The other morning riders will breathe a sigh of relief that the atmosphere seems to be conducive to low scores. 9:25 am ET: Be sure to tune into the USEF Network for awesome live video coverage of Rolex, available in America. Welcome to Rolex day one, afternoon edition! A cold and windy morning led to some fresh horses here at the Kentucky Horse Park for the early Rolex rides. 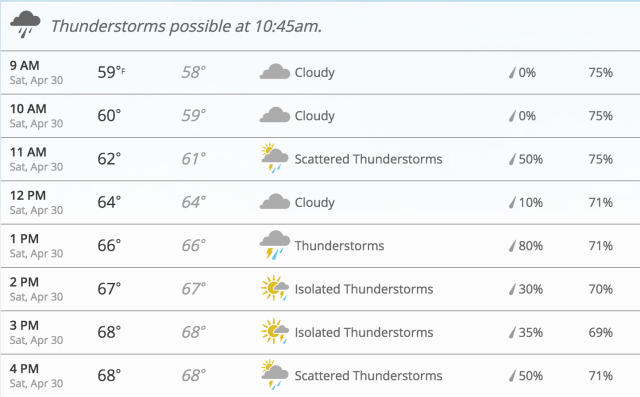 We’ll see how the weather and the scoreboard evolve right here on the afternoon open thread. Refresh this page frequently for the latest updates from dressage this morning, and don’t forget to follow us on Twitter for live scores and commentary. Go Rolex! 4:39 pm ET: One more gif of Good Knight getting some love. 4:33 pm ET: Jolie Wentworth and Good Knight capped off a great day of dressage with a test punctuated by excellent counter-canter work. They head into cross-country on 51.2. 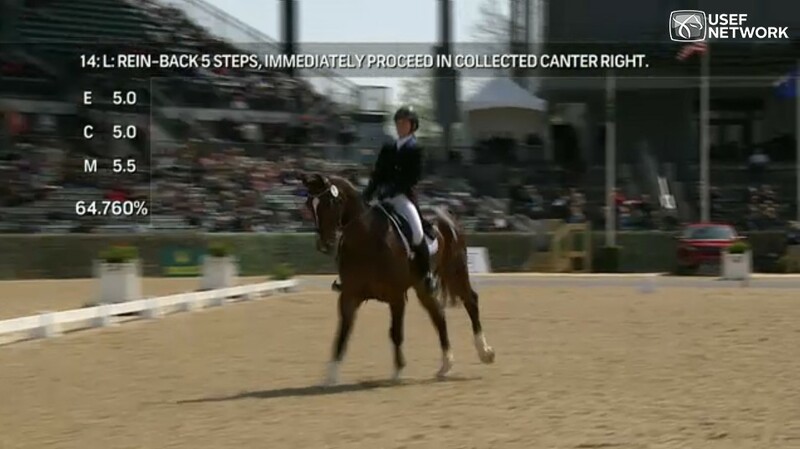 4:27 pm ET: In dressage, we want to ride close to the rail, especially into and out of our corners, but Boyd and Cracker Jack got a bit too close, hitting the rail a few times throughout their test. Boyd and Cracker Jack will head into Saturday on a 58. 4:11 pm ET: Sharon had a much improved ride aboard Wundermaske this year. The only real issue in the test occurred when Sharon went off course to tack on a couple of unfortunate points, but she got right back into the test like the true professional that she is. Sharon capped the test with 4 awesome changes for a 57.2. 4:04 pm ET: Buck has taken his time developing the lovely Petite Flower. 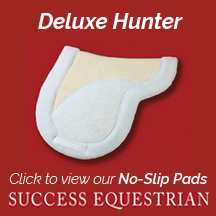 Their path together includes bringing her to Rolex last year for just the dressage. Petite Flower looked to get tenser and tenser as the wind and atmosphere took their toll. 3:57 pm ET: With 3 rides at Rolex, Phillip Dutton is one of the USA’s best hopes to reclaim the Rolex crown. Phillip will go into the weekend with Fernhill Cubalawn on 50.7. 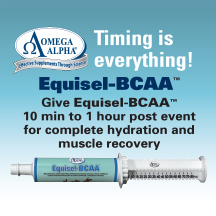 3:49 pm ET: Get a horse for free, take it to Rolex. Just another day in eventing for Angela Grzywinski. Between Rolex rookies, free horses, and fist-timers over 50 years old, this has been an afternoon full of inspiring four-star moments. 3:38 pm ET: California’s Bunnie Sexton is competing in her first four-star at over 50 years old. All of us with hopes of riding in a first four-star someday can take hope that it is never too late to pursue the dream. Bunnie rode a very tense “Echo” through some challenging changes, and they will head into the weekend on 69.0. 3:23 pm ET: As the last break starts here at Rolex, I want to give one last shout-out to John Kyle, the tubby talker himself, the golden pipes incarnate, for awesome commentary on the USEF Network, along with John’s guest commentators. I’m having a fantastic time listening along from deep inside the KHP Media Center, and I’m sure the rest of EN is enjoying the commentary as well, all over North America. Sorry, Europe, I’m not sure who is doing the FEI TV commentary, but I doubt they are as good [Update: Apparently FEI TV just uses JK and his guests as their commentators too — brilliant!]. Guest commentator Liz Halliday-Sharp made a great point that even horses with experience at the biggest competitions Europe can find the KHP grand stands an intimidating environment — there’s nothing quite like this venue in eventing. 3:17 pm ET: Ellen Doughty-Hume will have to work hard to top her weekend at Rolex last year, after getting married on the grounds of the Kentucky Horse Park in 2015. The hope for Ellen this weekend is a completion, and we’ll all be cheering her on. 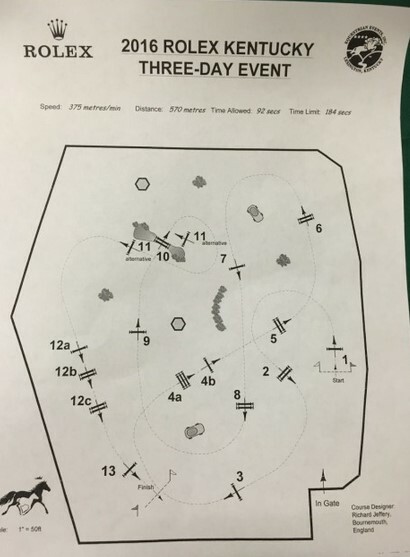 3:11 pm ET: Jennie Jarnstrom of Sweden’s Rolex ended much too soon today when disobedience by Cape Town forced the Ground Jury to ring her out of the arena. Of course, Cape Town stood like an angel as Jennie spoke with Ground Jury President Angela Tucker after the bell had been rung. We have all been there. I just hate to see Jennie going through it after all of hope and hard work that is the road to Rolex. 3:00 pm ET: Emily Cammock of New Zealand and her first time four-star horse Dambala worked their way through a couple early bobbles, including the dreaded arena-rail-hoof-knocking-spook to finish a solid test, capped off with several nice flying changes. 2:55 pm ET: Bit check time for Jimmie Schramm and Bellamy after delivering a 63.7. Jimmie was emotional after her first Rolex dressage ride. The awesome rookies roll on throughout this afternoon in Kentucky. 2:39 pm ET: Francis Whittington of Great Britain came to Kentucky expecting great results aboard Easy Target. Easy Target is owned by Mrs. Catherine Witt, who also owns last year’s Rolex Champion, Bay My Hero. Francis was likely hoping for a stronger score, but he will go into the weekend in striking distance with a 48.2. 2:34 pm ET: Lisa Barry did a good job of keeping a fit-looking FIS Prince Charming paying attention to her aids. Lisa was all smiles after her test, and for good reason. 2:21 pm ET: West-coasters Barb Crabo and Eveready are seeking their first four-star completion after a string of good three-star results out west. Barb rode an extremely accurate test to put herself in a great position on a 53.7. 2:17 pm ET: So far this afternoon, Rolex rookies have been laying down tests that would please veterans. Most notably, Elisa Wallace moved into temporary 4th aboard Simply Priceless with a 50.8. Love seeing the Rolex rookies enjoying themselves! 2:02 pm ET: Flowing shoulder-ins showed off Fly Me Courageous’ athleticism on the flat as part of a well-ridden test by Sara Kozumplik Murphy. Sara is catch riding this horse for a student this weekend, so completion is surely the goal. They struggled with a few understandable moments of miscommunication as Sara tried to package her horse. Sara will move on having ridden a test that should make her proud. 1:51 pm ET: I remember the first time Leah emailed me about guest writing for EN. 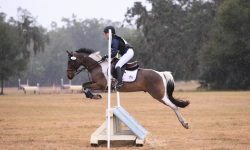 She was an investment banker turned full-time eventer who had just quit her job to pursue the eventing dream. And here she is riding at the highest level of our sport just a few years later. I know I won’t be alone in cheering this pair on for the rest of the weekend. 54’s across the board left Leah and her Illinois OTTB, AP Prime, with a 68.3, provisionally. 1:46 pm ET: My life’s work is finally complete. 1:44 pm ET: Fan-favorite Elisa Wallace used her experience calming mustangs to ride Simply Priceless to a wonderful quiet test. Simply Priceless got better and better for Elisa and didn’t give the judges a moment’s opportunity to take points away. Team Wallace should be thrilled with their score of 50.7. What a Rolex debut! 1:34 pm ET: The mare show continues as the 15 hand, 3 inch Imperial Melody was presented by Cody Sturgess of Canada. I’m not familiar with Cody, but USEF Network guest commentator Will Coleman was singing this mare’s praises on the cross-country, so I’m excited to watch this pair on Saturday. 1:26 pm ET: It’s hard to see the conditions on the USEF Network feed, but commentator John Kyle and guest commentator Will Coleman are doing a great job of explaining what the riders are dealing with. Wind + cold air + an impressive setting in the KHP main arena are challenging pairs to communicate well despite the tough context. Coleman pointed out that many of the horses competing this weekend are coming from areas that have been warm recently, including Florida, Virginia, and California. 1:22 pm ET: Sally Cousins rode Tsunami with veteran poise, dialing back the aids and riding a bit conservatively to preserve the best score possible in an environment that has caused more than one horse to lose focus today. 1:16 pm ET: Starting after the lunch break, Caitlin Siliman had to work hard to keep Catch A Star focused. The mare perhaps was keyed up by the wind and atmosphere at the grand stands. Caitlin redeemed as many points as she possibly could with a very correct position, especially in the canter work. This fan-favorite pair will go into the cross-country with a 70.3 and the entire Rolex crowd cheering them on. Laine Ashker and Anthony Patch. Photo by Jenni Autry. Welcome to Rolex day one! It’s a lovely, albeit crisp, morning, so we can expect to see some fresh horses this morning. Refresh this page frequently for the latest updates from dressage this morning, and don’t forget to follow us on Twitter for live scores and commentary. Go Rolex! 11:46 am ET: We’ll be back at 1:08 pm with Caitlin Silliman and Catch A Star, after the lunch break. 11:45 am ET: Tim Bourke and Luckaun Quality of Ireland finished off the morning dressage tests. Tim struggled to keep Luckaun Quality round and he experienced some resistance in the rein back, but Tim helped make up for it with accurate riding. They finished on a 68.7 provisionally. 11:33 am ET: If only I could please get a #westcoast selfie with David O’Connor. Oh, thank you. 11:26 am ET: Ellie MacPhail is living the dream this weekend as the first Rolex rookie to enter the dressage arena. Ellie came up through the ranks riding at Team O’Connor and she now rides with Clayton Fredericks in Florida. She is part of the U25 list this year, so she also works with former Olympic Champion Leslie Law. You wouldn’t have known she was a rookie from watching her ride, scoring a 54.3. Shown above — their strike off to canter from the rein back. 11:19 am ET: I know everyone is joining me right now in total shock that Michael Jung is leading early here at Rolex. But, as much as this weekend is Michael’s event to lose, the 2015 Rolex field is filled with extremely talented and hungry competitors. Who will take the top spot from the terminator today? 11:13 am ET: Lainey Ashker and Anthony Patch put together a perfectly rhythmical test for the USA. Lainey should be thrilled with her much deserved 44.2 to take the crown from Phillip Dutton as the highest placed American, currently. Lainey and Al will be piloting the first ever selfie helmet cam on Saturday. 11:09 am ET: James Alliston of Great Britain demonstrated great technique in riding a horse that is challenging to put into a frame that the judges are looking for. Parker’s test won’t go down in the Rolex history books, but it’s a great watch if you want to see horse and rider working together to get the best score possible. 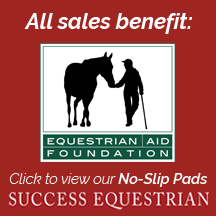 USEF has completed test videos on demand here. 10:50 am ET: Michael Jung of Germany rode the lovely mare fischerRocana to an extremely correct and pleasant 39.3. Fun fact: “fischerRocana” is German for “ridden by the terminator.” 39.3 — not a bad score for Michael’s warm up ride. He rides the amazing Sam at 3:54 pm ET on Friday. 10:19 am ET: 61.2 for Jessie Phoenix of Canada, who did a great job keeping First Romance paying attention. The pair suffered only a one small bobble. The next time I hear a rider saying how many distractions there are at Rolex, I’ll remind them that Jessie is nursing her newborn daughter this weekend along with riding two horses. Have a child, compete 10 days later, ride at Rolex 6 weeks later. Jessie, from all of us at EN, we salute you. 10:14am ET: As we’re getting things started off this morning, let’s establish the bar that I’m trying to beat. This is the best .gif in the history of EN, capturing the Silver Fox in top form last year here at Rolex. It’s sad that we won’t see Andrew here this year, but he made it onto the open thread at least. 10:09 am ET: The first few riders have done a good job keeping a lid on things on a windy spring morning in the Bluegrass. 10:07 am ET: I saw a bumper sticker on the drive over to Kentucky: “Decaf is for quitters.” That’s the EN team motto for the weekend. Along with Go Eventing, of course. 10:03 am ET: Canada, how are you feeling this morning? This is John taking over for Sally, btw. Thanks for getting things started this morning, Sally. 10:02 am ET: Buck and The Apprentice score 57.5. 9:57 a.m. EST: Buck is calling on his experience to squeeze as much as possible out of a slightly tense The Apprentice. 9:53 a.m. EST: Buck Davidson will have his first ride of the day now, The Apprentice. 9:52 a.m. EST: OBOS O’Reilly was a bit tense as his test progressed, but Will did a great job keeping him in check. They score a 52.7 provisionally for their first day score. 9:44 a.m. EST: Next up, Will Coleman and OBOS O’Reilly. 9:43 a.m. EST: A 47.5 for Phillip Dutton and Fernhill Fugitive to start off the weekend. Phillip should be very happy with that score, and Jack gets big pats on his way out. 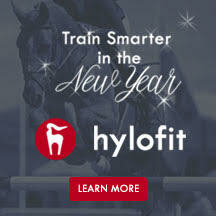 9:42 a.m. EST: “This is one of the best tests I’ve seen from this horse,” Karen O’Connor says as Phillip Dutton and Fernhill Fugitive complete their canter work. A bit late behind in their final change, but otherwise a great looking test from Big Phil. A great start for his first ride of three this weekend. 9:40 a.m. EST: Phillip and “Jack” showing off in the ring. Karen O’Connor is providing some wonderful and insightful commentary on each movement alongside John Kyle. 9:38 a.m. EST: Don’t forget to follow us on Twitter for score updates and commentary! Phillip Dutton and Fernhill Fugitive are in the ring now. 9:36 a.m. EST: 59.8 for Colleen and Shiraz. This is their lowest CCI4* score to date. Well done, Colleen! 9:35 a.m. EST: A lovely test to start the day for Colleen and Shiraz. “I would be very pleased if I were Colleen,” commentator Karen O’Connor said. 9:31 a.m. EST: Shiraz looks obedient for Colleen. A bit of tension in the rein back, but an otherwise quiet test so far. 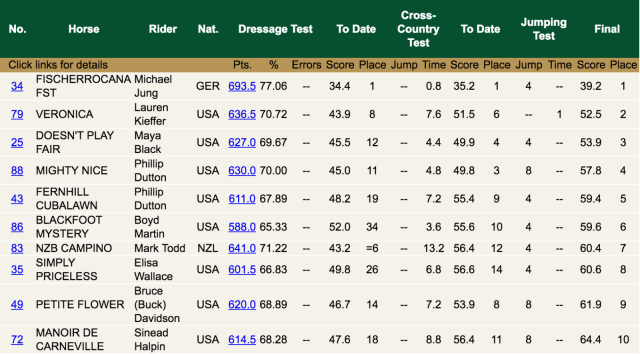 Screenshot courtesy of USEF Network. 9:29 a.m. EST: Colleen noted yesterday in an interview that there is no other horse she’d rather be first out on cross country with. They’ve completed every CCI4* event in the world with the exception of Adelaide, which is rumored to be on her bucket list. 9:29 a.m. EST: Colleen Rutledge and Shiraz are down center line. And we’re off! I figured the ALS Ice Bucket Challenge might be fun with a little barn twist. The challenge, for those of us who don’t use Facebook or the Internet, is a movement sweeping through social media to help raise awareness and money for ALS. Participants have 24 hours to either pour a bucket of ice water over their heads or donate $100 to help fight ALS. If you choose the ice water over your head, then you also nominate friends, who then have 24 hours to either dump ice water over their heads or donate $100, and so on. You can also choose to dump ice water over your head in addition to donating to the cause. I nominated Jenni, Sally, Leslie, Amy, Susan, Jon Holling, Kyle Carter, Sinead, Buck and Emily Beshear. Also, my hypothermic self forgot to thank Natalie Hummel, Ashley Kehoe and Morgan Pollard for their help with the video. Lastly, thanks to my man Hutton for the nomination. Go dump ice water on yourself for a great cause. Note: The below video is PG-13 and it shows a cut needing stitches at the end. I like to write about how dogs are so much better than cats as much as possible, so it’s only fair that I show the inferior species some love when love is deserved. If you haven’t seen this video circling the interwebs today, it shows a cat, named Tara, channelling its inner dog and saving a child from a horrible viscous dog that is channeling its inner cat. You can see Tara’s first televised interview here for more info. The CIC3* track at Jersey didn’t create quite the mess of a scoreboard that the CCI3* track made, but it made life tough for some excellent pairs. Doug Payne and Crown Talisman led wire to wire in the CIC3* on their way to Saumur. Allow Doug to walk you–just you!–through his ride in his dulcet tones. Take it away Doug.